Quality and quantity, with us you get both. There’s a history of goodness at Talley’s…and we’re not just talking about our nutritious, delicious food. What began as a small local fishing business over 80 years ago is now one of New Zealand’s largest food production and supply groups. With access to the world’s 4th largest EEZ, lush green pastures for raising animals for meat and dairy, fertile soil for growing vegetables, a cutting-edge integrated supply chain and sustainable operating practices, we consistently supply a wide range of quality New Zealand food products to the world. Talley's Group Limited encompasses a number of brands across its operations to bring you, the very best of New Zealand. The Talley's brand is used to retail both our renowned inshore seafood products (including premium IQF product lines) as well as our top quality frozen vegetable products. Talley's seafood products are regarded as some of the world's best by restaurants and food service distributors in New Zealand and abroad. Talley's branded vegetables can be found in many leading supermarkets and retail outlets. The Amaltal brand is used solely to market the Frozen At Sea (FAS) catch of our deep sea fleet. As a consequence of fleet management and the exceptional quality that comes from the near instantaneous snap freezing of products on board these vessels, Amaltal has a reputation for providing frozen seafood products of an unparalleled quality. Our Crème de la Crème brand of ice cream has become a popular mainstay of many a family freezer. We use only the finest New Zealand cream to produce an exceptional ice cream in a large array of popular flavours. Talley's Crème de la Crème is the best choice when it comes to both flavour and value. Talley's Crème de la Crème - Guilt Free™ ice cream retains the delicious, creamy taste and texture of Crème de la Crème ice cream but has fewer calories and is 97% fat free, making it an ideal choice for the health-conscious customer. 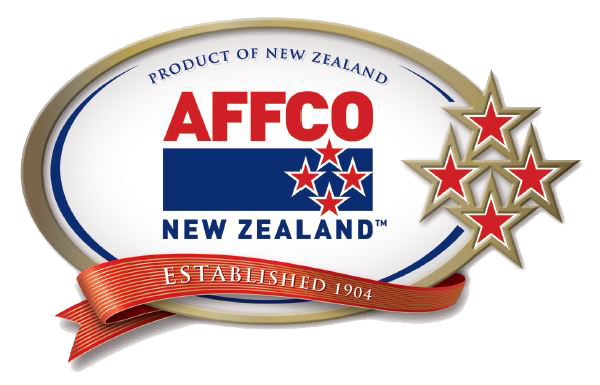 AFFCO is one of New Zealand’s leading processors of red meat. The company markets a wide range of meat products to the World. Visit the AFFCO website to find out more about the top quality range of New Zealand meat products that they offer. South Pacific Meats (SPM) is a large meat processor located in New Zealand's South Island. The company complements the production of AFFCO while also marketing SPM branded products to the World. Visit the SPM website to find out more about the top quality range of New Zealand meat products that they offer. Open Country Dairy markets a wide range of dairy products worldwide, including milk powders, proteins, along with a range of quality cheeses. Visit the Open Country Dairy website to find out more about the top quality range of New Zealand dairy products that they offer. Logan Farm markets export quality New Zealand vegetables into the Australian market. Found in supermarkets throughout Australia, Logan Farm vegetables have established a name for uncompromising quality and fair pricing. Visit the Logan Farm website to find out more. We also process and pack a range of private label products across the food range. If you have any enquiries please feel free to contact our friendly sales team.